NEWTOWN -- Sources and family members have confirmed that Victoria Leigh Soto, a first-grade teacher at Sandy Hook Elementary School, was among those killed in the shooting Friday. Soto, 27, a 2003 graduate of Stratford High School, reportedly shielded her first-grade students from Adam Lanza's gunfire with her own body. According to a Facebook post being circulated by teachers, Soto was a hero. When she became aware there was a gunman in the school, she hid her first-graders in closets and cabinets, then told the shooter they were in the gym. He turned the gun on Soto, killing her, but none of her students were harmed. In a Tweet Saturday morning, Soto's sister, Carlee said, "Hug your loved ones an (sic) tell them how much you love them because you never know when you'll see them again. Do this in honor of Vicki." 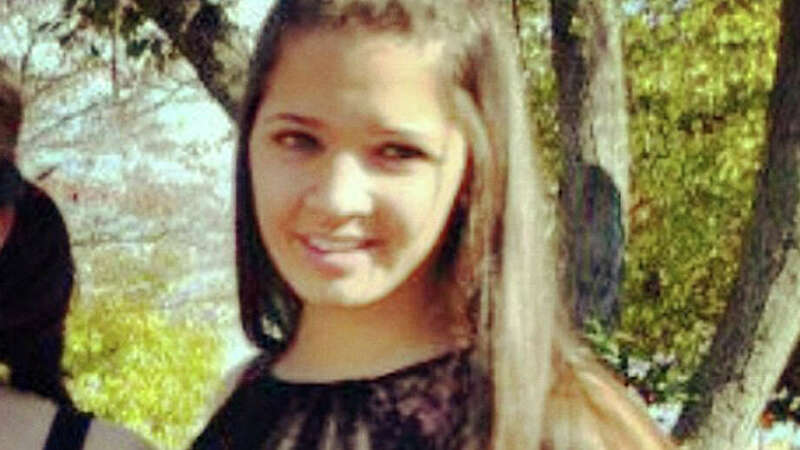 Carlee Soto said a candle lighting would be held at Stratford High School Saturday at 7 p.m. in honor of her sister. In a posting on a Facebook page, Vicki Soto wrote about her life. "In my free time I love to spend time with black lab, Roxie. I love spending time with my brother, sisters and cousins,' she wrote. "I love to spend time reading books on the beach soaking up the sun. I also love flamingos and the New York Yankees." Soto graduated from Eastern Connecticut State University with a degree in elementary education and history and was attending Southern Connecticut State University for a master's degree in special education. Early Friday morning, Soto went to the school library to find what she called the "perfect" book for her first-graders that day, Soto's colleague, Yvonne Cech, the library media specialist, said Saturday. Cech said it was just before 9 a.m. when she helped Soto find the book, "What Do You Do with a Tail Like This?" by Steve Jenkins. The book explores amazing things animals can do with their ears, eyes, mouths, noses, feet, and tails. "She was amazing and a wonderful teacher,'' Cech said. Soto checked the book out herself, and as she was on her way back to her class she told Cech she was expecting some parents to visit. "She loved her kids. It seemed that at the start of each year she loved them automatically,'' Cech said. Soto was close to her family, Cech said; her mother helped her shop for books and her brother helped her set up her classroom in the summer. "I saw her at the opening of a new bookstore in Newtown a couple of weeks ago with her whole, supportive family," Cech said. "She had a lovely family." Soto, who taught at the school for five years, was described by one of her deeply distraught, 10-year-old boy pupils as "really nice and funny." She was trying to shield her students and usher them into a closet when she came face-to-face with the gunman, the Daily Telegraph reported. Soto's cousin, Jim Wiltsie, said: "She put herself between the gunman and the children and that's when she was tragically shot and killed." Wiltsie told the Telegraph. "I'm just proud that Vicki had the instincts to protect her kids from harm. It brings peace to know that Vicki was doing what she loved, protecting the children and in our eyes she's a hero," he added. "This is Victoria Soto, and although I didn't know her, she is my hero. I don't know too much about her, but I know a lot of people who do know her and she's amazing. Victoria was a Stratford high graduate and only 27. She was killed today after she hid her first graders in closets and cabinets and told the shooter they were in the gym. He killed her and not one of her children were harmed. I have never been more proud to be from Stratford or to be a teacher. God bless Victoria, her family and friends, and all of those who were involved today in anyway. Victoria is a true hero." A friend posted on her Tumblr account a tribute to Soto: "I talked to Vicki Tuesday and she told me that she loved her 16 angels and never wanted to let them go. Today when the shooting started Vicki hid her kids in closets and when the gunman came into her room she told them the class was in gym. She was then murdered. Not one of her students were harmed. Words can not express how heartbreaking and tragic this. I will miss you dearly."